FULLY UPDATEDArron Banks enjoyed a life of happy anonymity flogging car insurance in Bristol until he dipped his toes into the sharkinfested waters of politics and decided to plunge right in. 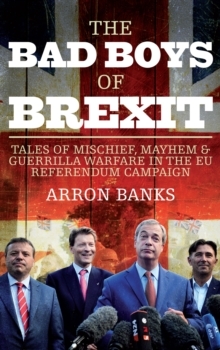 Charging into battle for Brexit, he tore up the political rule book, sinking GBP8 million of his personal fortune into a mad-cap campaign targeting ordinary voters up and down the country. His anti-establishment crusade upset everyone from Victoria Beckham to NASA and left MPs open-mouthed. Lurching from comedy to crisis (often several times a day), he found himself in the glare of the media spotlight, fending off daily bollockings from Nigel Farage and po-faced MPs. 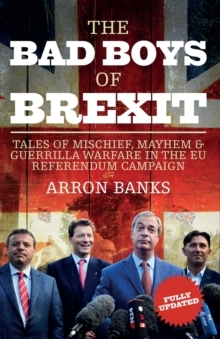 From talking Brexit with Trump and trying not to embarrass the Queen, to courting communists and wasting a fortune on a pop concert that descended into farce, this is his honest, uncensored and highly entertaining diary of the campaign that changed the course of history.